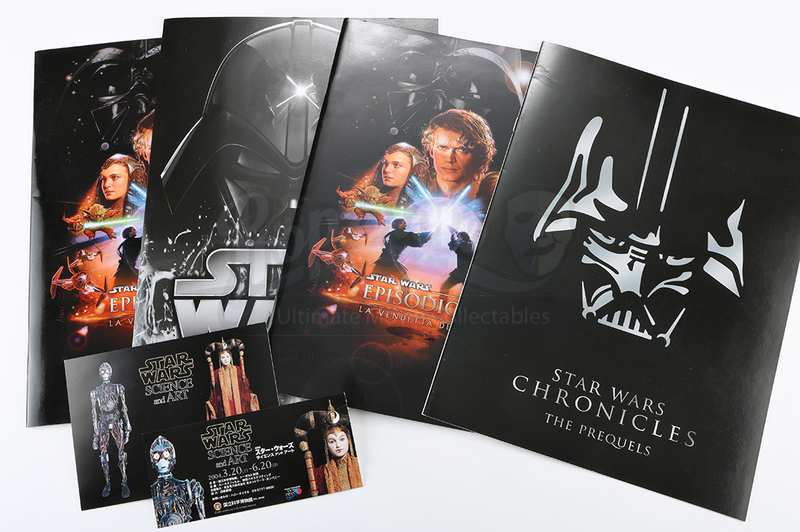 Art show programs and documents from various promotions and events for the sci-fi prequel trilogy of Star Wars. 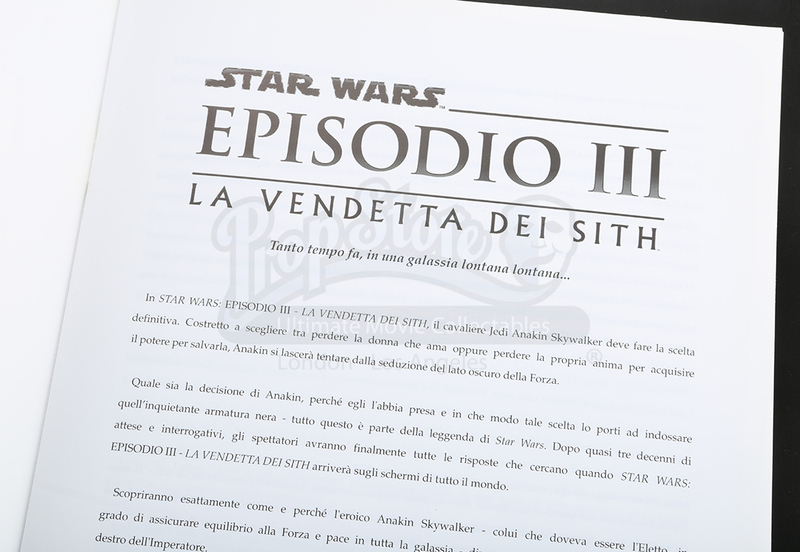 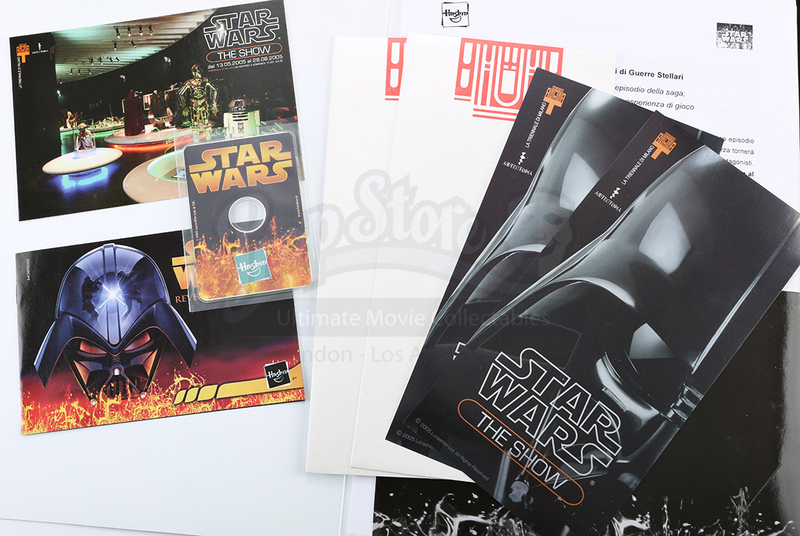 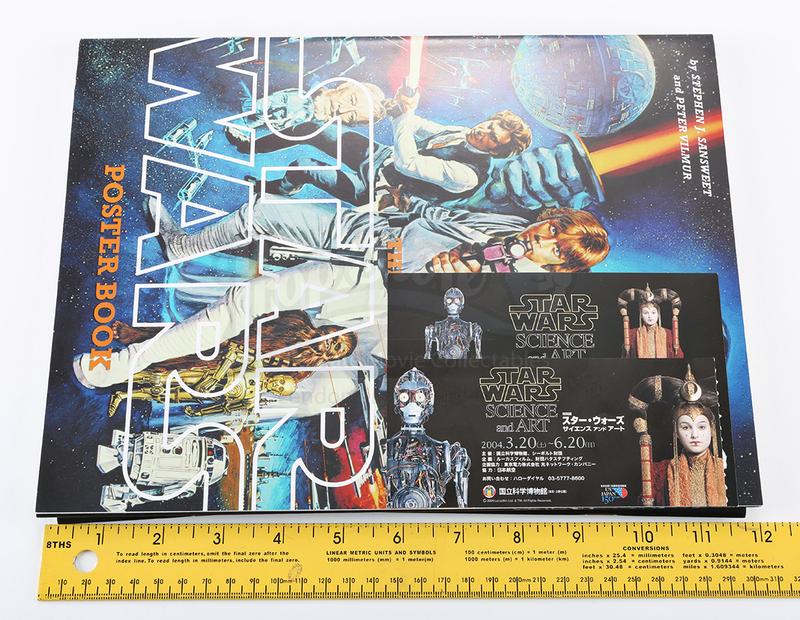 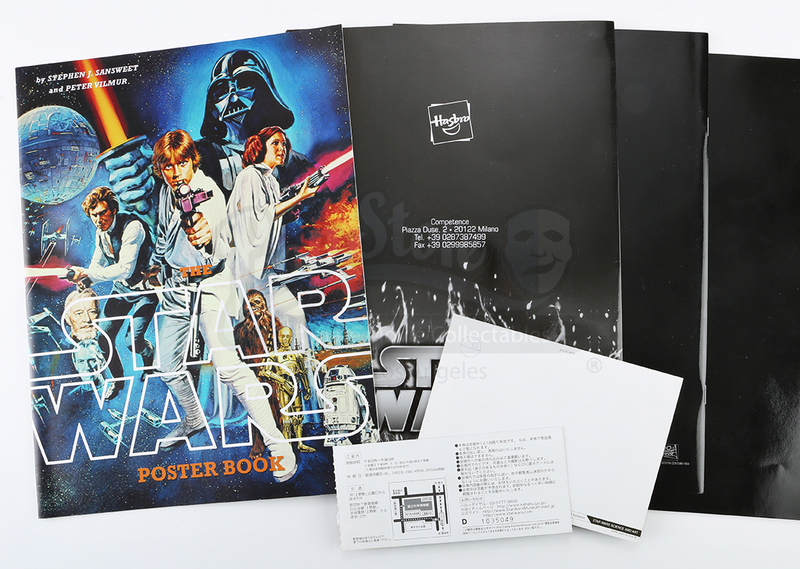 The lot consists of a ticket and postcard from a Star Wars Science and Art event held in Japan, a Star Wars folder that holds a Hasbro leaflet, a mini CD, a postcard, Italian press releases and invitations for 'Star Wars The Show' held in Milan, two books printed in Italian with information on the cast and the production of the third installment in the prequel trilogy, and a poster book featuring poster works from various films within the franchise as well as behind the scenes photos and concept work from the prequel trilogy. 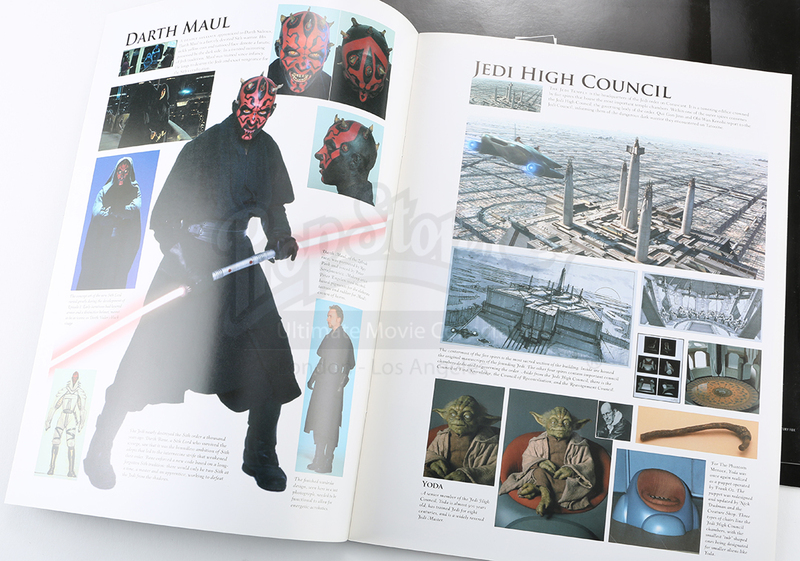 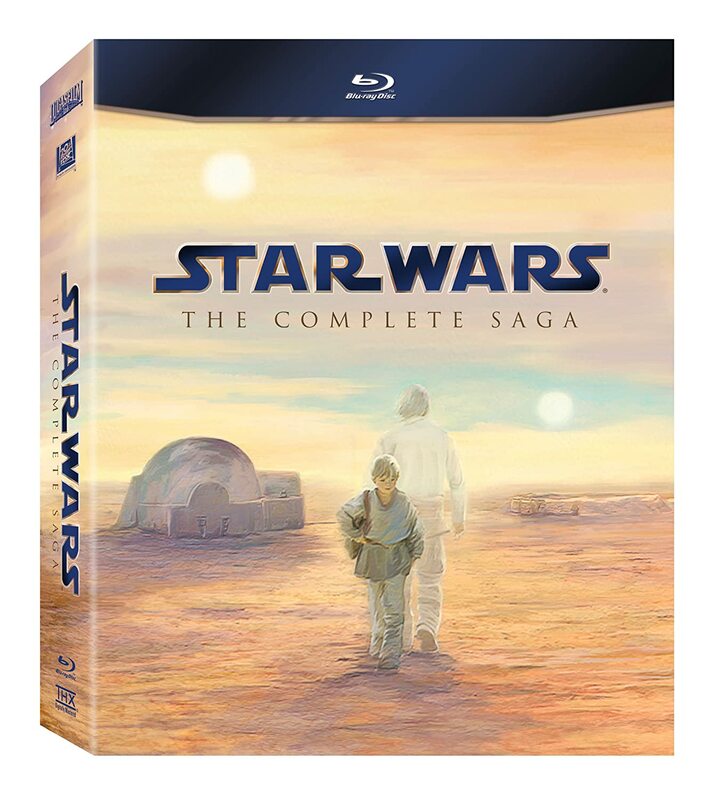 The lot shows minimal wear but remains in overall very good condition.